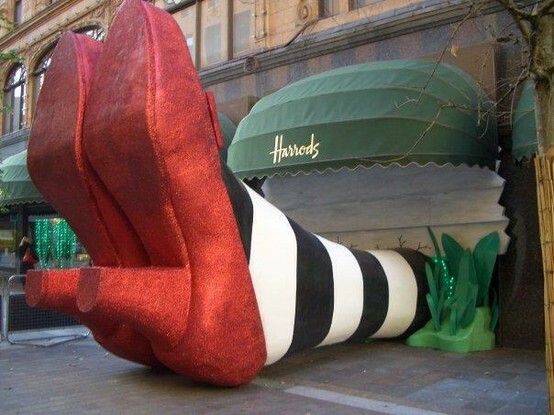 Posted on 10, October 2015, in Shopping and tagged British, department store, Harrods, shopping, Wicked Witch of the East, window display, Wizard of Oz. Bookmark the permalink. Leave a comment.